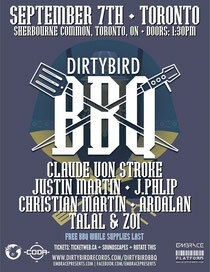 Justin Martin brings the Dirty Bird BBQ to Toronto on Sunday 7 September, at the Sherbourne Common for a day full of their signature bass driven brand of house music. 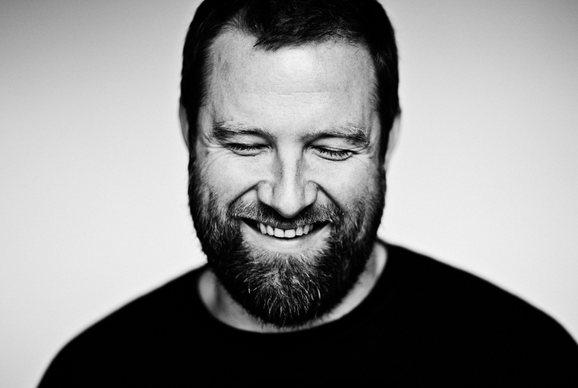 To headline the BBQ will be Claude VonStroke, Justin Martin, J. Phlip, Christian Martin, Ardalan and Talal & Zoi. Founded 13 years ago as a small get together in Golden Gate Park, the party then grew to be too big three years ago and the permit was then pulled. The city of San Francisco apparently could no longer handle the amount of people showing up to the event. To bring back the vibe of the park party, a team was assembled to take the BBQ all across North America and Europe. Starting in Miami and ending in San Francisco, the Dirty Bird BBQ returns and makes a stop in the city of Toronto, Canada.